Gov. Mary Fallin today announced that 10 Oklahoma counties, including Sequoyah County, may now receive disaster assistance from the U.S. Small Business Administration (SBA) as a result of the winter storm and flooding that began Dec. 26. 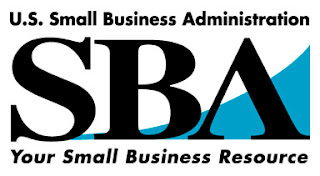 The designation provides SBA low-interest disaster loans for homeowners and business owners in Cherokee, Mayes and Ottawa counties to replace any property damaged by the storm that was not covered by insurance or other assistance programs. 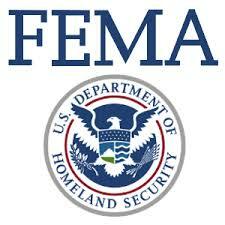 The loan program is also available to assist businesses that sustained economic injury due to the storm. Under SBA rules, the contiguous counties of Adair, Craig, Delaware, Muskogee, Rogers, Sequoyah and Wagoner are also eligible for assistance. The state requested the SBA declaration on March 23 after the Federal Emergency Management Agency denied the governor’s appeal for individual assistance. Two counties included in the governor’s request, Pushmataha and McCurtain, were not approved for the SBA declaration. Sherrill Allen, right, receives 15 new headphones from Kodey Toney, director of the Pervasive Parenting Center. Toney delivered the headphones recently to Liberty School in Sequoyah County. The headphones are part of a grant offered by the center for special education departments in Sequoyah, LeFlore, and Haskell counties to help with classroom supplies. The Pervasive Parenting Center recently purchased 15 sets of headphones to help a local special education department. Recently Center Director Kodey Toney delivered more than $200 worth of equipment to help Liberty Schools. The headphones will be used to help children in the special education program with taking tests and other assignments. The equipment the school was using is outdated and limited, Allen said. The new headphones will help all children but especially those with sensory and attention issues. 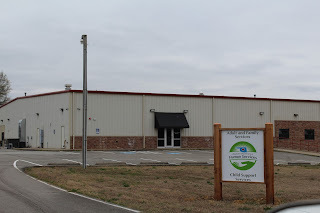 The Pervasive Parenting Center is a non-profit organization that helps families in eastern Oklahoma find resources available for people diagnosed with autism and other disabilities. The board of directors provides grants of up to $200 for local schools that provide a reasonable and necessary need for the funding throughout the year. More grants are available to schools in LeFlore, Sequoyah, and Haskell counties. To apply visit www.pervasiveparentingcenter.org and fill out an application. If you have any questions contact Kodey Toney @ 918-658-5076 or ktoney@pervasiveparentingcenter.org. Visit the website at www.pervasiveparentingcenter.org. U.S. Rep. Markwayne Mullin, (OK-2) left, visits with constituents including Joe Peters of Sallisaw, right, at a Mullin Town Hall meeting Monday at People Inc. in Sallisaw. 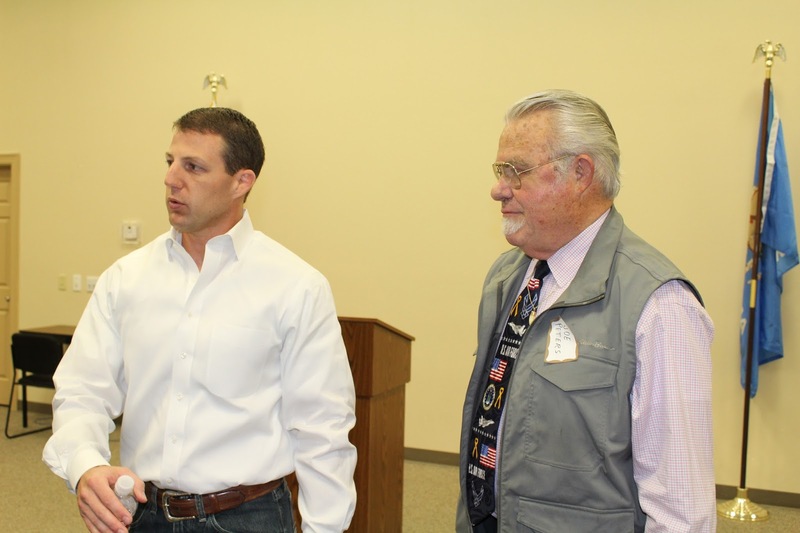 U.S. Rep. Markwayne Mullin met with about 12 constituents at a Town Hall meeting at 8 a.m. Thursday at People Inc. in Sallisaw. Mullin said he was surprised by the announcement Friday that the U.S. Department of Energy has approved the Clean Line Energy Partners proposed power transmission line from the Oklahoma Panhandle across the state and Sequoyah County, and Arkansas, to near Memphis, Tenn.
Mullin said he knows that some landowners have successfully argued that they have “hardship cases,” and had the line detoured around their property. “Hardship” means, he explained, that the line might make the property useless, would decrease the property’s value, even interfere with access to the home, and other scenarios. Mullin said he will continue to study Clean Line’s proposal to determine what options may be available to those who oppose the project. About bureaucracy, Mullin said not much could be done. 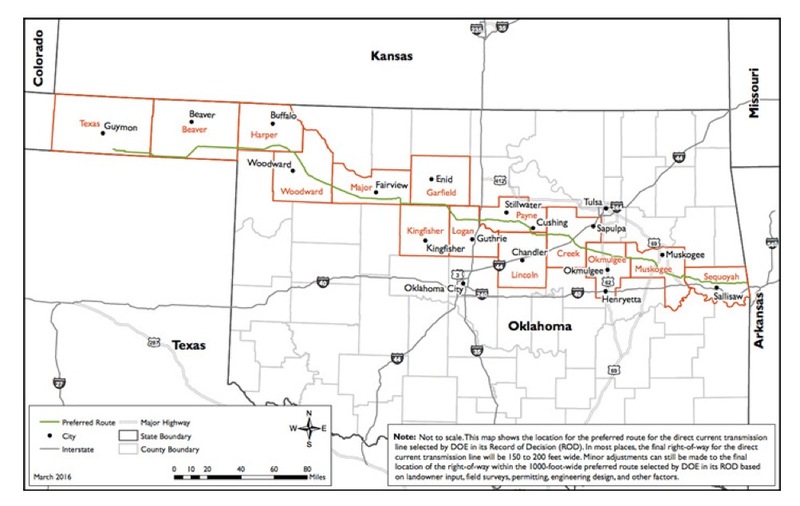 Joe Peters of Sallisaw questioned how a bureaucrat in Washington, D.C., could make a decision on the power transmission line that impacts so many people. Mullin said anyone with issues they would like to discuss with him may contact his office at 202-225-2701. The Cherokee Nation recently donated $500 to the Pervasive Parenting Center to help with training. At the presentation are, from the left, Cherokee Nation Chief of Staff Chuck Hoskin, Deputy Chief S. Joe Crittenden, Pervasive Parenting Center Director Kodey Toney, Principal Chief Bill John Baker, Tribal Councilor Bryan Warner and Secretary of State Chuck Hoskin Jr. The Cherokee Nation recently donated $500 to the nonprofit organization Pervasive Parenting Center to help with local trainings. The organization, based in Panama, provides assistance to families in eastern Oklahoma affected by autism and other developmental disabilities. Kodey Toney, Pervasive Parenting Center Director, founded the organization in 2014. As a father of a child with autism, he wanted to create a network of support for other families facing similar challenges. In 2015, Pervasive Parenting Center helped more than 300 families through its efforts. 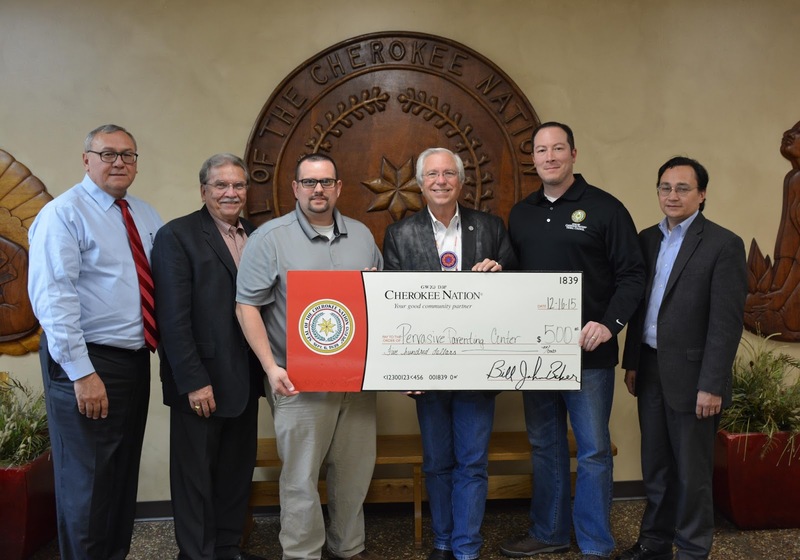 The Cherokee Nation donated the money from the tribe’s special projects fund. Donations made from the tribe’s special projects fund are selected by the Tribal Council and Principal Chief Bill John Baker’s office and allow the tribe to partner with communities or organizations on projects that benefit both Cherokee Nation citizens and non-Cherokees alike. For more information on the Pervasive Parenting Center, visit www.pervasiveparentingcenter.org. 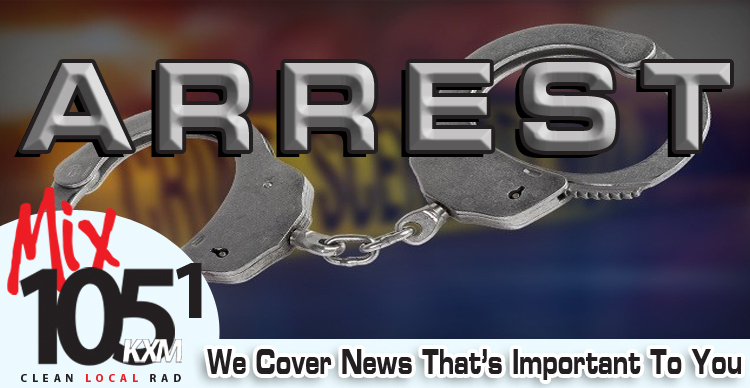 A Muldrow woman faces a felony count of driving under the influence, with a blood alcohol count of .08 or more which resulted in great bodily injury. Julie Ann Mooring, 47, of Muldrow entered a not guilty plea to the charge March 23 in Sequoyah County District Court in Sallisaw. Her next court appearance will be on Associate District Judge Kyle Waters’ disposition docket on April 13. According to the police report, Mooring was under the influence of alcohol on March 8 when she went left of center while driving east on U.S. Highway 64 and struck a west-bound car driven by Randy Clark, 61, head on. The officer reported Clark suffered a head injury and other injuries. Mooring was driving a Dodge pickup truck when she struck Clark’s Saturn near the intersection of U.S. Highway 64 and Redland Road. The crash occurred at about 3:45 p.m. March 8. While investigating the crash the police officer reported finding an open bottle of vodka, about two-thirds full, in the floor board in Mooring’s truck. Mooring’s blood alcohol analysis was recorded at .11. She was arrested at the scene and transported to the Sequoyah County jail in Sallisaw. She was released on a $5,500 bond on March 15. 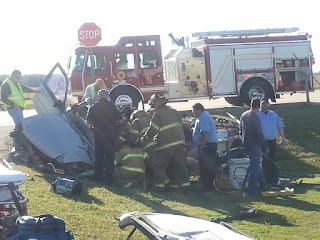 A one-vehicle crash on U.S. Highway 59 on Sallisaw’s south side may have been due to a medical condition, police report. Rick Owens, 51, of Hackett, Ark., was driving south on U.S. Highway 59 when his small Ford pickup drifted left across the highway and went into a ditch on the east side of the road. 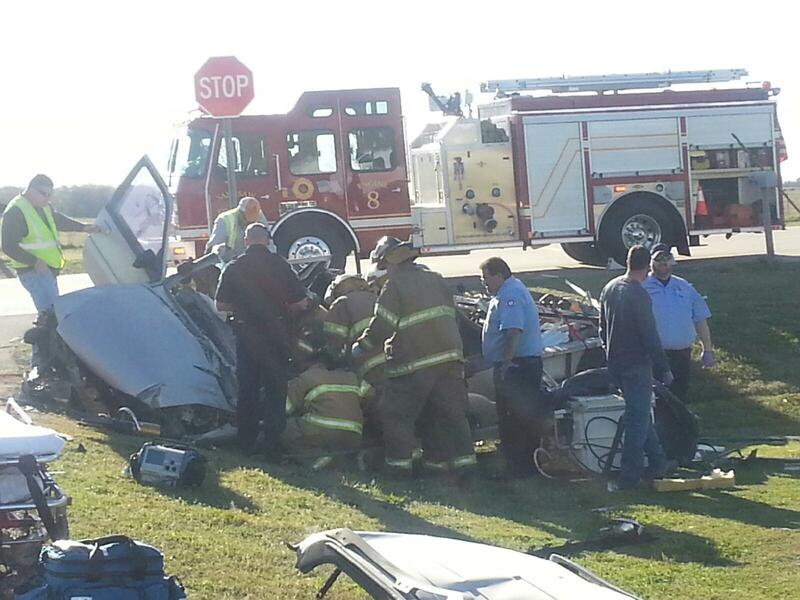 Owens was flown by helicopter to St. Johns Medical Center in Tulsa. Contacted by police later, Owens told the officer he did not remember the crash. He said the last thing he remembered was driving on Dwight Mission Road. 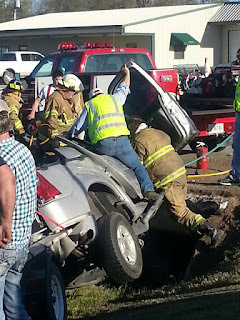 The crash occurred at about 5:30 p.m. Monday, and Owens was reported trapped in the truck for about 40 minutes before he was freed by the Sallisaw Fire Department. Firemen also had to extinguish a small fire which erupted under the truck’s hood. Police report Owens has been moved into a private room at the hospital. The U.S. Department of Energy (DOE) on Friday issued a Record of Decision (ROD) approving the Plains & Eastern Clean Line transmission project. The project is to build transmission lines from wind-powered generators in the Oklahoma panhandle to the Tennessee Valley Authority north of Memphis. 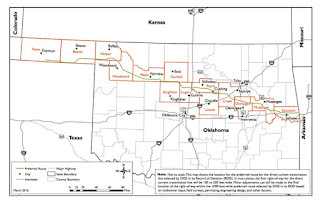 The project will take transmission lines from the panhandle across Oklahoma, including Sequoyah County, and across Arkansas. Many landowners and others oppose the project. The DOE approval gives Clean Line Energy the go-ahead to enter the final stage of development and prepare for construction, which could start as early as 2017, a spokesman for the company reported. Over the next two years, major project activities include conducting field surveys, acquiring rights-of-way for construction, and negotiating and executing customer contracts. Over the next two years, as preparations are made for construction, Clean Line will continue to negotiate with landowners and acquire the necessary rights-of-way for the project in Oklahoma, Arkansas and Tennessee. Members of the Clean Line team are available to landowners via their toll-free number- 1 (877) 573-2851. About easement payments, Clean Line Energy is committing to compensating landowners fairly, the company states. Clean Line’s landowner compensation package will include an easement payment based on the size and market value of the easement acreage required and an additional payment for each structure placed on the landowner’s property. As an example, and based on a fair-market appraisal of $2,000 per acre, a landowner would be paid that amount per acre crossed by a 150-to-200-foot-wide easement. The landowner whose property also has structures will be paid, based on the type of line-supporting structure, from $500 to $2,000 annually or a one-time payment of $6,000 or $24,000. The choice is up to the landowner. Clean Line also compensates landowners for crop damage, irrigation or drainage interference and for any commercially marketable timber that is cleared. Still, many landowners oppose the project and the prospect of having the lines cross their properties. Jim Rogers, Sequoyah County District 3 County Commissioner, voiced his concerns and those of landowners who are in Clean Line’s transmission path in Sequoyah County. Rogers said many landowners fear eminent domain will be used to force use of property for the transmission line. Clean Line energy responded that is a course of last resort. Some fear the easement area will extend to 600 feet wide, and limit construction by the same 600 feet. That is not true, Clean Line replied. In addition, farming and ranching under the transmission lines may continue as normal. Rogers said it is feared that, once complete, the transmission line may be sold to a government agency – Southwest Power Administration – that is not obligated to pay taxes. Clean Line replied there is “No” chance the transmission line will be sold to Southwest Power Administration. In Sequoyah County, Clean Line Energy is to make an up front payment of $295,000 to Sequoyah County. The ad valorem payment for Sequoyah County is $1.2 million annually. The Plains & Eastern Clean Line will enable the delivery of 4,000 megawatts (MW) of low-cost, clean power from the Oklahoma Panhandle region to customers in Arkansas, Tennessee and other states in the Mid-South and Southeast. The project will deliver enough power for more than one million American homes. Rogers notes that power, which he suspects is not ‘low-cost,’ is not available locally. But Clean Line continues to refer to the power transmitted as low-cost, and the project provides jobs and is a step in providing low-cost clean energy to everyone. “The Department of Energy’s decision shows that great things are happening in America today. The Plains & Eastern Clean Line is the largest clean energy infrastructure project in the nation and will modernize the U.S. electric grid while bringing forth new investment, job creation, and more low-cost power for American consumers,” said Michael Skelly, President of Clean Line Energy. The Plains & Eastern Clean Line will provide about $1 billion of private investment in Oklahoma and will grow Oklahoma’s clean energy economy by enabling several billion dollars of investment in new renewable energy facilities in the Oklahoma Panhandle region. For more information regarding the Plains & Eastern Clean Line project, including maps and contact information, residents can visit Clean Line’s project website at PlainsAndEasternCleanLine.com. Clean Line stated that representatives are available to answer questions and meet in person with stakeholders. A Muldrow man plead guilty to three charges in U.S. District Court in Muskogee and faces a prison sentence of up to life and a fine of up to $1.5 million, or both. Edward Robert Saldana II, 30, entered the guilty plea Tuesday, the U.S. attorney’s office reported. 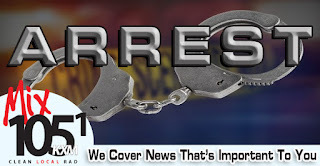 He pleaded guilty to being a felon in possession of a firearm, possession of a firearm in furtherance of a drug trafficking crime, and possession with intent to distribute methamphetamine and oxycodone. The charges arose from an investigation by the Sallisaw Police Department and the Drug Enforcement Administration. Saldana was indicted in February. The indictment alleged that on Dec. 10 Saldana possessed with intent to distribute a mixture or substance containing a detectable amount of methamphetamine and a mixture or substance containing a detectable amount of oxycodone. It further alleges that on the same date Saldana possessed a firearm and did so in furtherance of a drug trafficking crime. 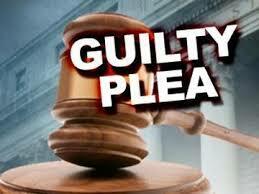 U.S. Magistrate Judge Steven P. Shreder accepted the guilty plea and ordered the completion of a presentence report. Sentencing will follow the report’s completion. Saldana remains in the custody of the U.S. Marshals Service. At the groundbreaking for 30 new homes in Vian are, from the left, Cherokee Nation Businesses Executive Vice President Chuck Garrett, Cherokee Nation Deputy Chief S. Joe Crittenden, Tribal Councilor David Thornton, Housing Authority Executive Director Gary Cooper, Cherokee Nation Principal Chief Bill John Baker, CNB Chief Executive Officer Shawn Slaton, Housing Authority Chairman of the Board James Simmons, CNB board members Janelle Fullbright and Jerry Holderby, Cherokee Nation Treasurer Lacey Horn, CNB board members Sam Hart and Dan Carter, Vian City Councilor E.O. Smith, Vian Mayor Dennis Fletcher and Vian City Councilor Emmanuel Drew. The Cherokee Nation held a groundbreaking in Vian Tuesday for 30 new homes the tribe is building. The three-bedroom, 1,200-square-foot homes are being built through the Housing Authority of the Cherokee Nation’s New Home Construction Program on six acres of property owned by Cherokee Nation Businesses. Baker implemented the New Home Construction Program in 2012. The Vian home recipients will be selected from the Housing Authority’s waiting list of program applicants who do not own land. The new addition in Vian sits just on the edge of town off State Highway 82. Vian Mayor Dennis Fletcher said the Cherokee Nation’s investment is a blessing to the town of about 1,400. The Vian homes are slated for completion in early fall. Schools in the area benefit since they receive $2,800 in federal impact aid for each enrolled student who resides in the homes. Cherokee Nation Businesses is also overseeing the construction of 29 homes in West Siloam Springs and 23 homes in Roland through the New Home Construction Program. “Part of our mission at Cherokee Nation Businesses is to provide economic development and employment opportunities to Cherokee Nation citizens. 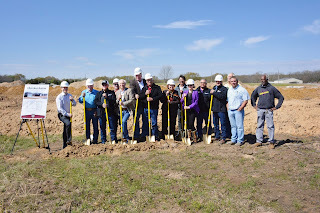 This project allows us to achieve both of those goals,” said Cherokee Nation Businesses Executive Vice President Chuck Garrett. 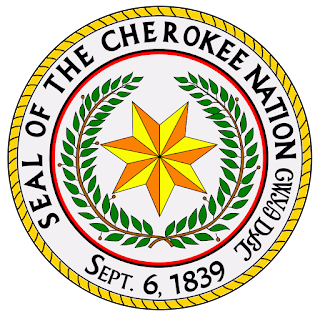 Since the announcement of the program in April 2012, the Cherokee Nation has built 343 homes and has more than 125 under construction throughout the tribe’s 14-county jurisdiction. 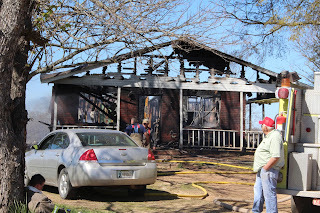 Sallisaw firemen had to get up early on Good Friday to fight a blaze in a home at 705 E. Callahan. Fire Chief Anthony Armstrong said the fire department was dispatched at 4:26 a.m. and found the front half of the home fully engulfed when they arrived. The family of Steve Owens, including a small child, escaped unharmed, Armstrong said. The 15 Sallisaw firefighters who responded had the blaze under control in about 10 minutes but the home was heavily damaged. Armstrong estimated damage at $40,000. He said the suspected cause of the fire is electrical. Firefighters were on the scene for about an hour, he said. The family was put in touch with the Red Cross, and they were provided with clothing and a place to stay. 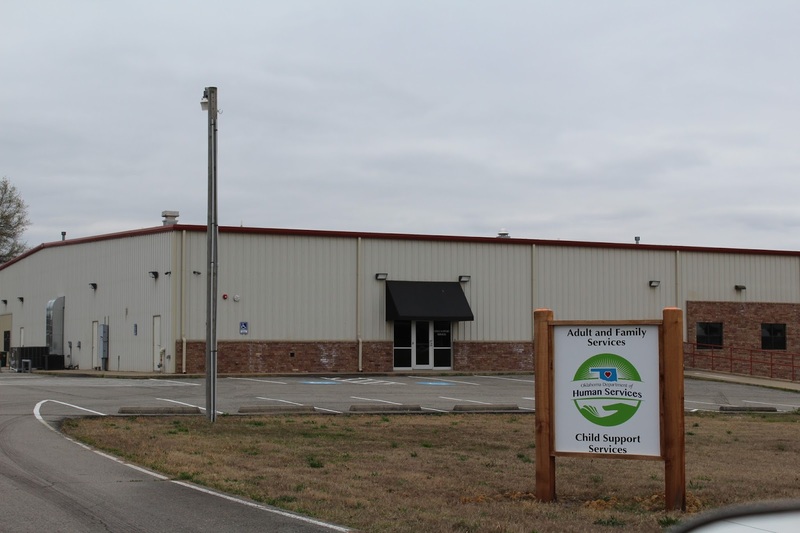 The new Department of Human Services (DHS) and Child Support Services building in Sallisaw’s industrial park will soon be ready to open. DHS staff said there is no opening date set. Office equipment is in the process of being installed and, when completed, an opening date will be announced. 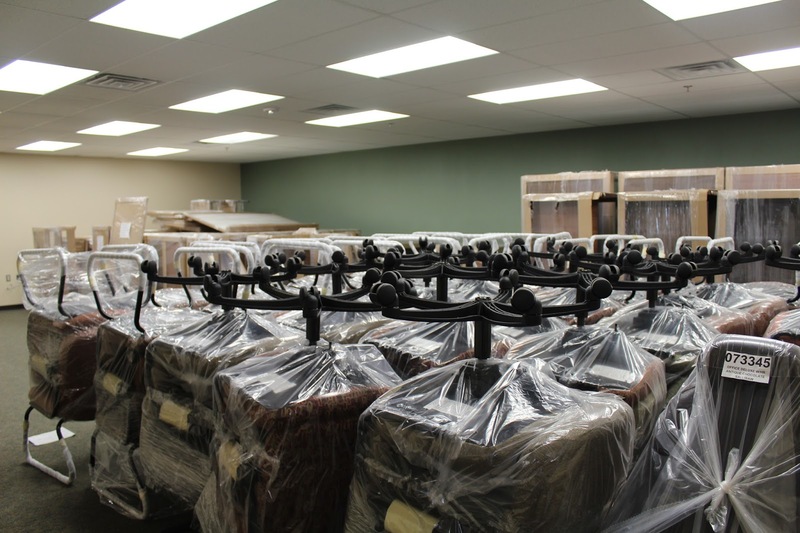 The office equipment for the new Department of Human Services office in Sallisaw has arrived and is being installed. 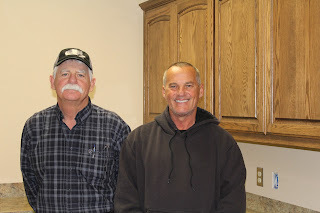 Ronnie Woodward, left, was the lead contractor on remodeling a building in Sallisaw’s industrial park for the Department of Human Services and Child Support Services. The building was purchased by Phil Rhoades, right, and Mike Daffin as Sequoyah Enterprises Inc., and has been leased to the DHS. The purchase and remodeling cost $2.2 million, Rhoades said. 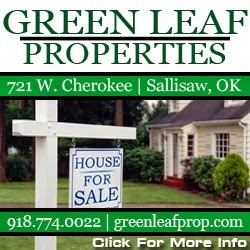 In the near future the Oklahoma Department of Human Services (DHS) and Child Welfare will have a new home in Sallisaw. The remodeling of an old manufacturing building in the city’s industrial park is complete. The finishing touches are underway and include installing the required technology and office equipment. The 27,000-square-foot building was owned by the city and formerly leased to and occupied by Cellofoam North America Inc. Cellofoam relocated to another building in the industrial park, and left their old building empty and the city paying for a property that was not returning its investment. 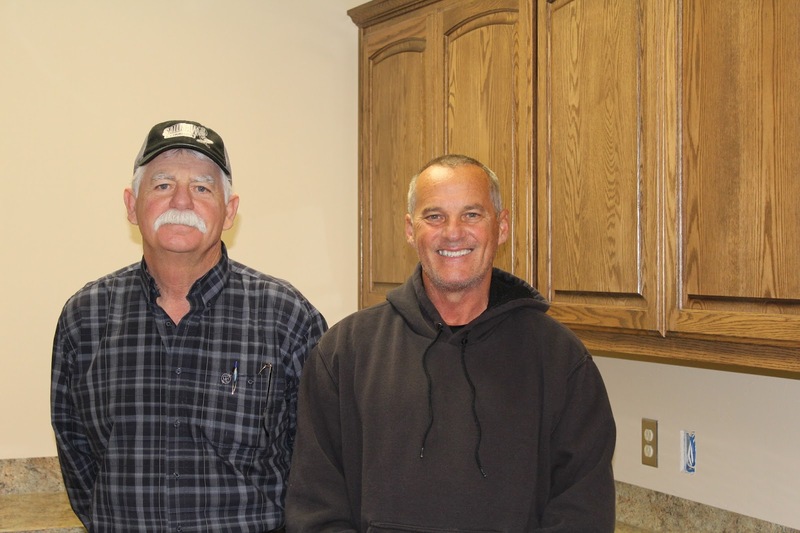 Sequoyah Enterprises Inc., owned by Mike Daffin and Phillip Rhoades of Sallisaw, purchased the building from the city last year and began the remodeling in May. Ronnie Woodward, lead contractor for the remodeling project, described the building when Sequoyah Enterprises took over. Now the building is an up-to-date office facility with accommodations for over 100 employees, a community room that can be used by the public, over 16 miles of computer or data cables, a modern security system, and other improvements. “I’m kind of proud of it,” Woodward said. Rhoades said the building and remodeling cost about $2.2 million. Sequoyah Enterprises signed a seven-year agreement with the State DHS for the Sallisaw facility. “It’s been a long, drawn-out process,” Rhoades said, but well worth the effort. Rhoades, who at one time was a DHS social worker, said the remodeled facility will house both the DHS and Child Support Enforcement. The two agencies are now housed in two separate building on South Kerr Boulevard in Sallisaw. The DHS staff said no opening date is set since moving to the new accommodations must wait until the office and technology equipment are installed. Rhoades said Woodward worked with state architects on designing the building’s interior set up. Rhoades said the new building increases the space for the offices from the present 17,000 square feet to 27,000 square feet. It has 93 cubicles for workers, 10 interview rooms, separate offices for supervisors, a climate-controlled computer room for the 16 miles of computer cables, security cameras inside and out, a kitchen and other amenities. Employees will have their own parking lot, with 98 spaces, while the public parking lot at the front of the building has 40 spaces. 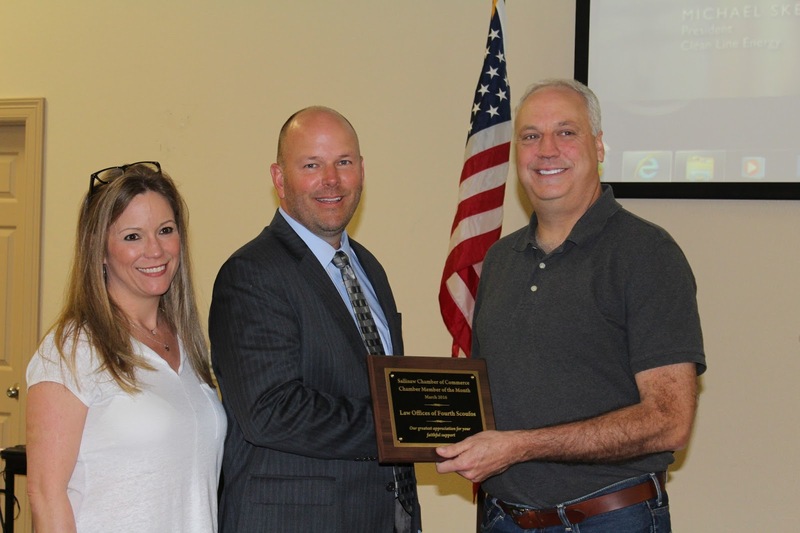 Rhoades said the remodeling job could not have been accomplished without Woodward’s help, and he will continue to oversee the maintenance of the building. Gov. Mary Fallin expressed disappointment last week that the federal government has denied the state’s appeal for individual assistance for residents and business owners in nine eastern Oklahoma counties, including Sequoyah County, affected by a winter storm and flooding that struck after Christmas. In a March 11 letter, the governor asked Federal Emergency Management Agency (FEMA) to reverse its recent decision denying individual assistance for homeowners, renters and business owners affected by winter storm, ice, sleet and flooding that began Dec. 26. The assistance was sought for Adair, Cherokee, Delaware, Mayes, McCurtain, Muskogee, Ottawa, Pushmataha and Sequoyah counties. FEMA approved public assistance for 42 Oklahoma counties that were affected by the same storm and individual assistance for 33 Missouri counties and 11 Arkansas counties. In the letter denying the appeal, FEMA officials said there was not enough individual loss and damage to warrant individual assistance. 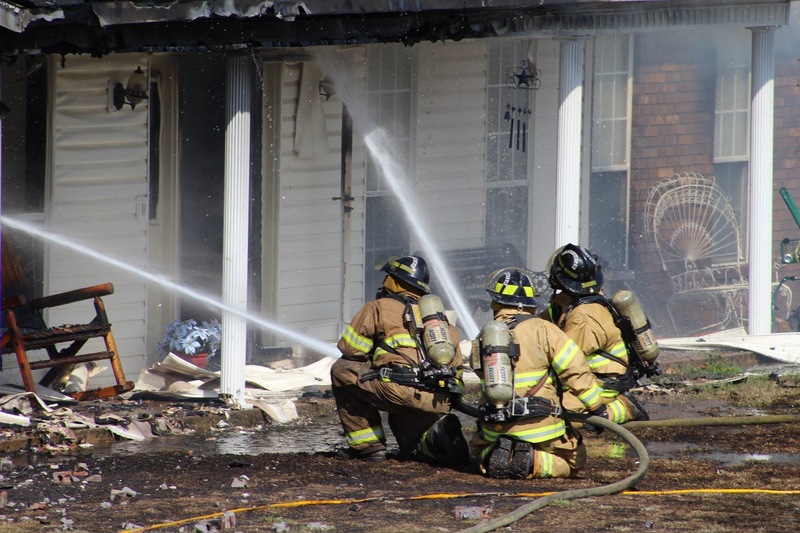 Firefighters with the Central and Maple Volunteer Fire Departments responded to the scene of a fire that destroyed the home of the Glen McCawley family Monday afternoon. 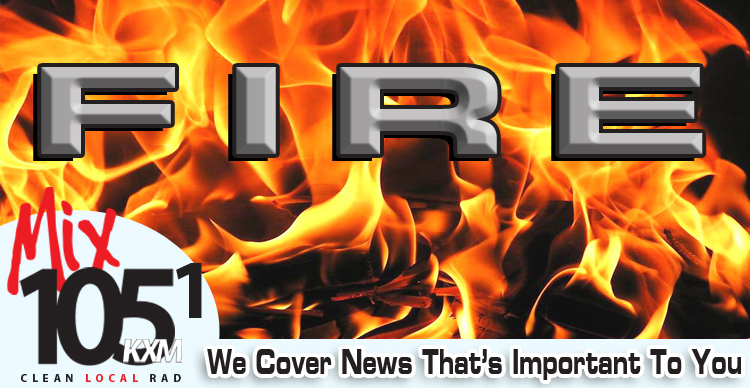 Rodney Smith, Central assistant fire chief, said the fire department was dispatched at 1:53 p.m. Monday and found the home fully engulfed when they arrived. Smith said no one was injured as a result of the fire but the family lost everything. 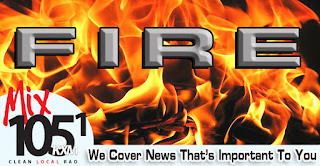 “We had the fire knocked down in 30 minutes after arriving,” Smith said. 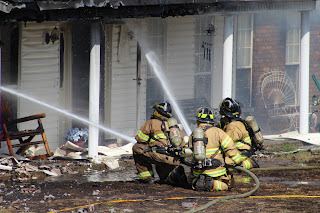 Firefighters were still putting out hot spots in the building at 4 p.m. Smith said 15 firefighters from the Central and Maple Fire Departments fought the blaze. The cause of the fire is unknown, Smith said. With the massive budget cuts hitting the State of Oklahoma, Carl Albert State College (CASC) is having to deal with how to keep the college operating. President Garry M. Ivey explained the budget appropriations for CASC are down 12.53 percent already this year (FY 16 which covers July 1, 2015 – June 30, 2016). CASC is primarily funded by two sources. One is appropriations from the state, and the other is tuition and fees. “Our appropriations have steadily gone down over the past years. Regarding tuition, we have gone up some each year, but those increases are capped by the state at a certain percentage, therefore our increases in tuition and fees are minimal compared to other institutions and other states,” Ivey said. He continued, “The bottom line is we can’t continue to operate at the level we have over the past several years based on the budget crisis in Oklahoma. We do have some funds that are earmarked for specific areas such as campus maintenance and improvements, but that money can’t be shifted to other areas. Then of course we have some programs that are run with grant funds, so that too is money we can’t use any other way. Gifts to the foundation are also protected from general use. The preliminary hearing for Robert Howard Dimitt, 58, of Sallisaw on five cruelty to animal charges is expected to continue Thursday in Sequoyah County District Court. Dimitt was arrested Aug. 3 for animal cruelty and is free on a $25,000 bond. He pleaded not guilty to the charges. Dimitt trains race horses but lost his trainer’s license in Oklahoma after being accused of drugging horses. He continued to train under the names of other licensed trainers. The charges resulted from an investigation that found dead and mutilated horses in Dimitt’s care and at his farm on Sallisaw’s east side, and eventually spread to Ruidoso Downs in New Mexico where another allegedly mutilated horse was found. It was reported the horses had lost immense amounts of weight and had the bottoms of their hooves cut away. Sheriff Ron Lockhart said Dimitt had about 22 horses in his care and all were recovered by their owners or moved to other trainers. Dimitt’s preliminary hearing on the charges began in January and was continued for the endorsement of additional witnesses. Enrollment dates and the dates for 2016 summer and fall classes at Carl Albert State College (CASC) have been announced. The first day for current CASC sophomores to enroll for summer and/or fall is March 29. Current freshmen can begin enrolling March 31. Enrollment is open to everyone beginning April 4. Concurrent students will begin enrolling for fall on April 7. Summer school is set to begin May 23. The fall semester will begin Aug. 10. Students are encouraged to take care of as much as possible and as early as possible in preparing for summer and fall. This includes admissions, financial aid, applying for the Pell grant, housing, and enrolling for classes. The first stop for new students on the Poteau Campus is the Enrollment Center located in Hemphill Hall. Students can also go through the admissions and enrollment process at the Sallisaw Campus. The course schedule for both summer and fall is located at carlalbert.edu under Quick Links/course schedule & enrollment information. For further information call 918-647-1393. The Cherokee Nation is hosting a groundbreaking ceremony Tuesday in Vian to celebrate the upcoming construction of 30 new homes being built in a new addition by the tribe. The three-bedroom homes, which are about 1,200 square feet each, are being built on property owned by Cherokee Nation Businesses through the Housing Authority of the Cherokee Nation’s New Home Construction Program. 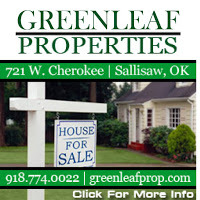 It helps Cherokee families become new or first-time homeowners. Principal Chief Bill John Baker implemented the program in 2012. The Vian home recipients will be selected from the Housing Authority’s waiting list of New Home Construction applicants who do not own land. Schools in the area also benefit since they receive $2,800 in federal impact aid for each enrolled student who resides in the homes. 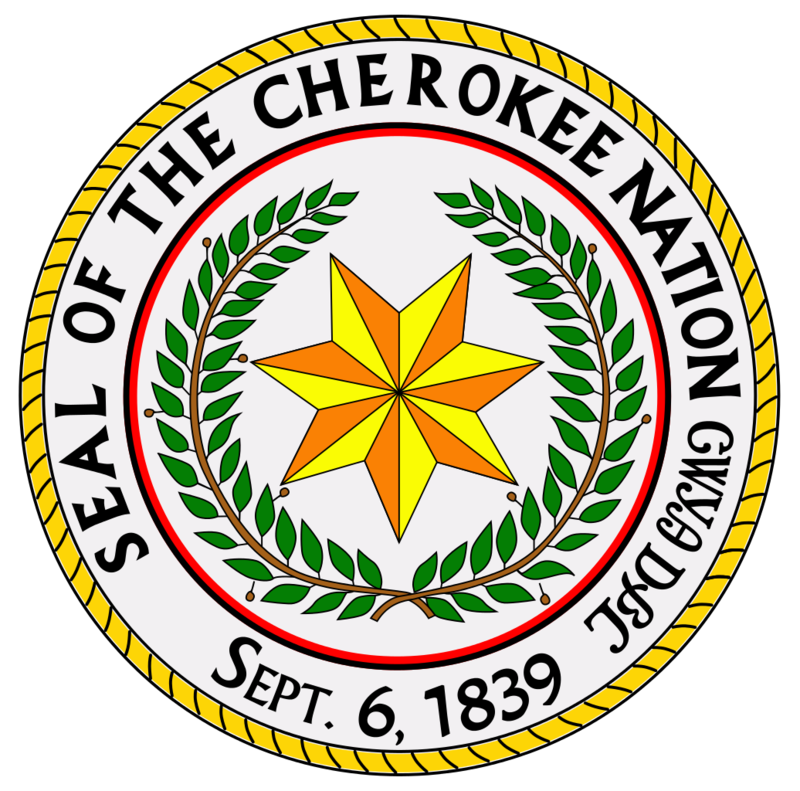 Since the announcement of the program in April 2012, the Cherokee Nation has built 343 homes and has more than 125 under construction throughout the tribe’s 14-county jurisdiction. The Vian homes are slated for completion in August. Mack Moad, organizer of the new Sequoyah County Mounted Search and Rescue, reports Phase 3 of the training has concluded. He reports 20 horses have passed the test, the equine handler obstacle course, and 13 team members will move on to Phase 4. Team members learned the practical application of land navigation and terrain association map reading, helicopter landing and liftoff, field expedient medical methods, and rescue communications exercises. Steve Rutherford, Sequoyah County Emergency Management director, also attended the obstacle course training. Max Shilestone, director of business development for Clean Line Energy, was the guest speaker at the luncheon. Clean Line Energy is developing transmission lines for wind generated power from Oklahoma’s panhandle to other areas of the country. One line is planned to go through Sequoyah County and eventually to north of Memphis, Tenn., to deliver power to the Tennessee Valley Authority. The project has met with much opposition by both individuals and governments in the area. Shilestone said the line, which is privately financed, will deliver enough power for one million homes. He said easements for the transmission lines are 150 feet wide, much smaller than those for other transmission lines. The county could benefit from about $1.2 million in ad valorem taxes for the easements, Shilestone said. Shilestone said it is expected that construction will begin in 2018, and transmission would begin in 2020. The company is investing over $1 billion in the project, he said. Shilestone said, “The best wind in the country is right here in the middle – the rib – of the United States.” And the best wind in the middle is in the Oklahoma Panhandle, he said. In other business, Chamber President Shannon Vann reported over $90,000 was raised for youngsters at the Sequoyah County Junior livestock Show, which is believed to be a new record. -April 4 at 6 p.m. the Harlem Ambassadors will play the Diamond Dunkers at the Sallisaw High School gym. Doors open at 5:30 p.m. and general admission at the door is $5. Children age 5 and under will be admitted free. -April 26 at 6 p.m. will be the Community DodgeBrawl Tournament to benefit the Sallisaw High School Senior Class. The dodgeball tournament will be held at the Sallisaw High School gym, and the entry fee, due by April 20, is $25. Admission is $5 for adults and $3 for students. Prizes will be awarded to first, second and third place and a special prize will be awarded for the most creative uniforms. -June 2-4 will be the Sallisaw Chamber of Commerce Diamond Daze Festival, which will feature country music stars the Brothers Osborne and Tracy Lawrence. The Brothers Osborne will perform at 7:30 p.m. June 3 and Tracy Lawrence will perform at 7:30 p.m. June 4. Local artists will be featured in the Battle of the Bands at 7 p.m. on June 2. Admission is $5 per carload on June 2, $10 per person of June 3 and $5 per carload until 5 p.m. on June 4. After 5 p.m. admission will be $10 per person. 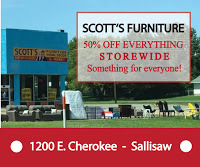 For a complete Diamond Daze schedule visit www.sallisawchamber.com or call the chamber at 918-775-2558. 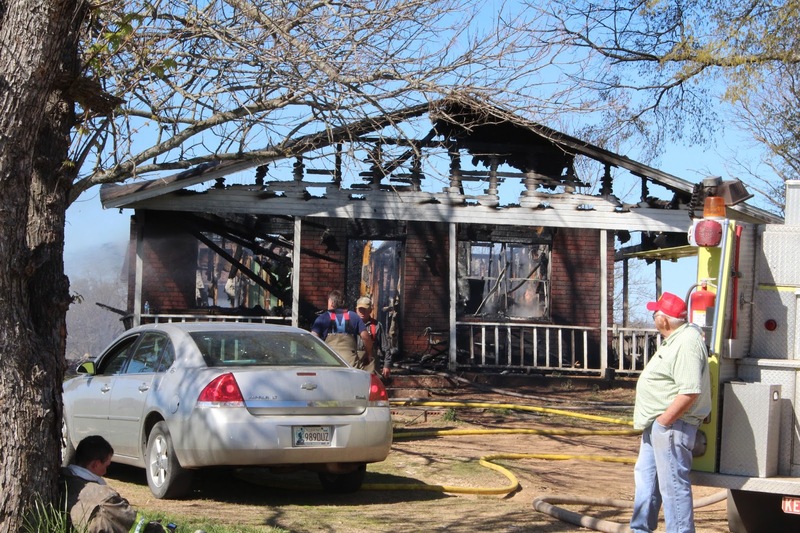 The fire that destroyed the rural Sallisaw home of Wesley Keith on Tuesday may have had an electrical cause, said Fire Chief Anthony Armstrong. Firefighters were on the scene, above, until about 2:30 p.m. Tuesday making sure the fire was extinguished. Armstrong said Wednesday morning that the boom heard by those visiting the home was most likely caused by something exploding in the garage where the fire started. He said any number of things could have caused the boom heard, such as paint cans or aerosol cans exploding from the heat. The fire spread quickly due to 30 mile per hour winds, Armstrong said. Armstrong said the fire was reported when a family member arrived Tuesday morning and saw flames coming from the garage. Family members had gathered at the home because Keith’s wife, Connie, had died that morning. The family was going through photos preparing for the funeral. Keith, a retired electric supervisor for the City of Sallisaw, also served as a firefighter for the city for 26 years until he retired, Armstrong said. Oklahomans who want to change their party affiliation before the primary or runoff primary elections later this year must do so no later than March 31, said Cindy Osborn, Sequoyah County Election Board secretary. Changes of political affiliation are prohibited by law during the period beginning April 1 and continuing through Aug. 31 in even-numbered years, Osborn said. Each political party can nominate one candidate per office for the November general election. If two or more candidates from the same party file for one office, the party nominee is selected at either the primary or runoff primary election. Only voters registered in a political party can vote to select that party's nominees unless the party gives independent voters permission to vote in its primaries. The Democratic and Libertarian Parties have given Independent voters permission to vote in their primaries and runoff primaries in 2016 and 2017. Oklahoma has three recognized political parties in 2016 - Democrat, Republican, and Libertarian. All registered voters, regardless of political affiliation, can vote for any candidate at the November general election and for state or local questions at any election. Applications to register to vote or to change political affiliation are available at the Sequoyah County Election Board office at 110 E Creek Ave. in Sallisaw and at post offices, public libraries, state offices providing public assistance, and at most political party and candidate campaign offices. A 46-year-old Sallisaw man lead Sallisaw police on a short chase Monday, but couldn’t escape. 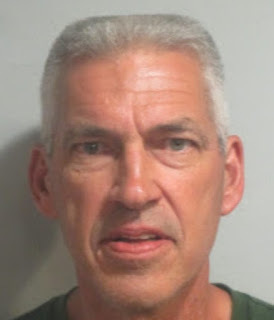 David Hiser was eventually arrested and jailed on charges of driving under suspension, eluding or attempting to elude police, failure to have insurance and having a bogus tag. Hiser was also wanted on an arrest warrant for bogus checks. According to the Sallisaw police reports, officers were holding a vehicle safety check at about 3 p.m. Monday at Delaware and Dogwood streets when they saw a four-door, green SUV turn around to avoid the check station. Officers gave chase, with lights and sirens on, but the driver continued to run at a “high rate of speed.” The pursuit went north on Dogwood, then east into a residential area around Lucy and Pecan Streets. Police lost sight of the vehicle in that area but a witness contacted dispatch about a green SUV that had just pulled into the driveway of an empty residence. Police followed the witness’ directions, sighted the suspect again and gave chase. Hiser then drove on Pecan to Lucy and went west on Lucy Street to Wheeler. He eventually took Wyandotte to Port Arthur and came to a stop in the parking lot at the soccer field on Port Arthur. Hiser was taken into custody without incident and the vehicle was impounded. Ellie, the Border Collie, protects Robert S. Kerr Lock and Dam 15 from birds like the double-crested cormorant, which flock to the structure in the fall and winter months. The birds leave tons of waste that corrodes and damages the facility. The staff at Robert S. Kerr Lock and Dam 15, south of Sallisaw, uses Ellie to prevent birds from damaging the structure, and creating a hazardous environment for workers. In October the staff brought in the border collie to protect the structure from pesky fowl. With its moderate winters, Oklahoma is a near-perfect winter vacation locale for double crested-cormorants and ring-billed gulls. Each year from the end of September to the beginning of April, the structure is besieged by up to 6,000 double-crested cormorants and as many as 3,000 ring-billed gulls. The staff at R.S. Kerr don’t mind the birds. It’s what they leave behind that is at issue. Fowl discharges contain uric acid, which corrodes metal and damages concrete. “The average annual cost of repairing components damaged by bird droppings at Robert S. Kerr Lock and Dam 15 is about $10,000.” said Robert Steiner, Navigation Systems Operations Manager for the Tulsa District U.S. Army Corps of Engineers. It also leaves a nasty mess that creates slippery walkways and potential health hazards. Before Ellie was introduced R.S. Kerr Lock and Dam 15 was a destination of choice for the winged tourists. The structure provided a safe vantage point, free from many common predators like foxes, coyotes, cats and raccoons. Cormorants are fond of fish, while ring-billed gulls are omnivorous and will eat just about anything a human will eat, and many things a human won’t. They are often seen at beaches and parking lots in coastal cities, and can be found scavenging at open dumpsites, and have been known to feed on road kill. In addition to being corrosive, bird droppings can contain histoplasma, a fungus found in bat and bird droppings, which can cause a respiratory disease known as histoplasmosis. The potentially-fatal disease is transferred to humans when the droppings dry out and spores become airborne. It enters the lungs and causes severe infections. The lock and dam staff tried numerous devices to keep the birds off the dam, including metal bird spikes to deter them from landing. Those solutions offered limited success. Noisemaking devices that simulate the sound of a cannon to scare the birds away worked temporarily. “The noisemakers work for a little while but the birds get used to it when they realize it presents no danger to them and they just come right back. There is already a lot of noise at a lock and dam anyway and sometimes they don’t even notice it,” said Philpot. The solution? Move up one level on the food chain. Considered by many experts to be the most intelligent and trainable of dog breeds, border collies are named for the Border region of England and Scotland, where shepherds carefully bred herding traits into them over hundreds of generations. The Border collie's intense stare or “eye”, which it uses to herd livestock, and its ability to move quickly in a half-crouched walk, similar to that of a cat stalking prey, add to its effectiveness. Ellie was purchased from Flyaway Farms and Kennels in Chadbourn, N.C., which trains border collies for bird control. She has been carefully trained around people and children for the purpose of clearing birds. Since Ellie isn’t a retriever, she doesn’t feel the need to catch or return a bird to feel successful, so the breed is capable of clearing protected birds without harming them. Since border collies are high energy dogs, the more Ellie works, the more satisfied she becomes. “I was skeptical at first about whether a dog would be effective but after three or four weeks of working with her, I was all for it,” said Honeysuckle. “She’s an awesome dog. She does a great job and I’m glad we got her." One unexpected consequence of bringing in a dog to herd birds? “She’s definitely made the job a lot more fun,” said Philpot.